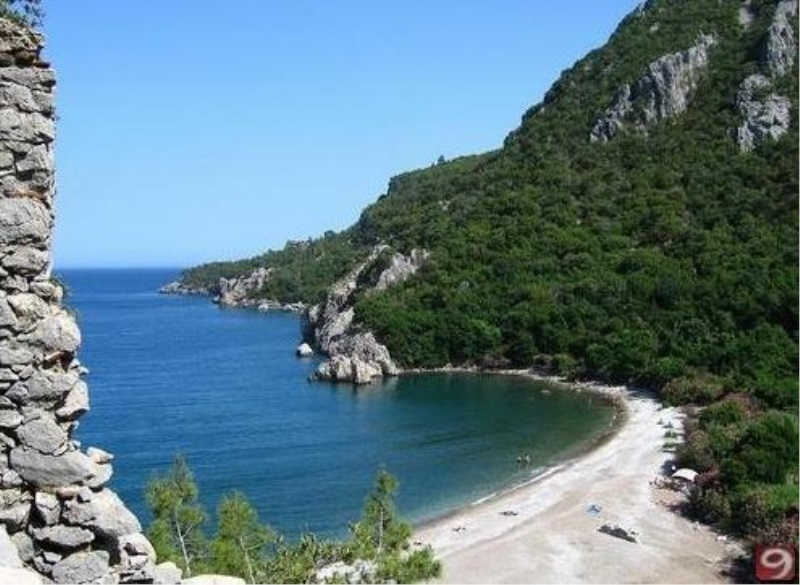 Its name is probably derived from Olympos mountain roughly 15 km north of the city. Olympos is fascinating,not just for its ruins that are fragmentary and widely scattered amidst the thick greenery of wild grapevines,bay trees, flowering oleander,wild figs and pines,but for its archeological site just inland from a beautiful beach along the course of a stream which runs through a rocky gorge. It is between Adrasan and Kemer.A plate on Antalya after passing Phaselis - Kumluca road,shows Olympos road.The city,which is found on 2nd century BC,is emptied on 6th century AD or it is estimated the city was abandoned by the 15th century. It is delightful to feel as though discovering the mysterious site for the first time and walk through the overgrown park.In these days most ruins seem to be so artificially preserved that some of the magic of their age disappears. There is no need a guide or for in-depth historical information while traveling to Olympos.However,an understanding of the citys history will make each historical ruin you see and each step you take and more enjoyable and enlightening. The ancient port city of Olympos was one of the members of the Lycian Federation in Lycian times.